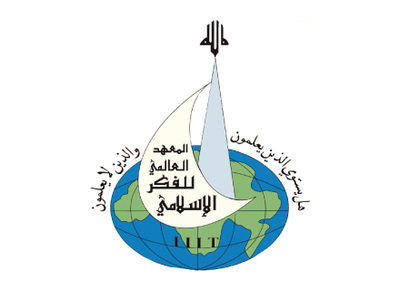 The International Institute of Islamic Thought (IIIT) is a privately held non-profit organization. The Institution is concerned with issues of Islamic thought. It was founded in 1981 in Pennsylvania, and is headquartered in Herndon, Virginia, in the suburbs of Washington DC. Controversy has surrounded Islamist radicalism at the Institute, which was founded with seed money from the Muslim Brotherhood. The FBI has raided the Institute seeking evidence of contributing terrorists, while members have been arrested and found to be active leaders of terrorist organizations. An Institute book justified jihad against Israel and as liberation struggle, not terrorism. The Executive Director and Director of Research at IIIT, Dr. Louay Safi, is currently professor at Qatar Faculty of Islamic Studies in Doha, Qatar and political spokesman for the Syrian National Council. The Institute describes itself as an intellectual forum working from an Islamic perspective to promote and support research projects, organize intellectual and cultural meetings, and publish scholarly works. The Institute publishes works produced by its own research programs, as well as contributions from around the world, in Arabic, English, and other major languages. IIIT publications include over 400 titles, distributed in various series and topics, in addition to quarterly journals in English and Arabic. A book by IIIT official Abdul Hamid AbuSulayman entitled "Violence," published in 2001, said Israel is a "foreign usurper" that must be confronted with "fear, terror and lack of security." The book maintained "Fighting is a duty of the oppressed people." Palestinian fighters must choose their targets "whether the targets are civilian or military," it said, adding that any such attacks should not be "excessive." The book said such attacks were justified acts of a liberation struggle, not terrorism. The Institute was founded in 1981 by members of the Muslim brotherhood (i.e. Dr. Jamal Bazinji, Dr. Hisham Yahya Altalib, Dr. 'Abdul Hamid Ahmad Abu Sulayman, etc.) and with seed money from the Muslim Brotherhood. It has branches and offices in a number of major cities worldwide. In 2003 a Muslim Brotherhood document was discovered that listed the International Institute of Islamic Thought as one its organizations in America. In 1996 Basheer Nafi, who had been working as a top-level researcher and editor at the Institute, was arrested by federal Immigration and Naturalization Service agents and charged with immigration fraud. He was considered an active leader of the Islamic Jihad terrorist organization who was working for a network of academic front groups, and was linked as well to the Islamist militant group Hamas. He pleaded guilty to a lesser violation of his visa status, and was deported and barred from entering the U.S. for five years. On March 20, 2002, Federal Bureau of Investigation (FBI) officials raided the Institute and closed the Institute temporarily. The agents were seeking evidence that the Institute was contributing to terrorists, and seized about 25 computers and documents that included financial records, mailing lists, and staff lists. The search was part of a larger FBI-Customs Service series of raids that included 19 other business and non-profit entities known as Operation Green Quest. "Such a massive ream of documents came out of those search warrants," one law enforcement official said, "it takes incredibly lengthy investigative work." The raids led to the convictions of two people, including Abdurahman Alamoudi, who worked for the SAAR Foundation. Alamoudi admitted that he plotted with Libya to assassinate the Saudi ruler and was sentenced to 23 years in jail. A leader of the Institute, Iqbal Unus, his wife and daughter brought suit charging that their rights were violated and the government was guilty of assault, trespass, and false imprisonment when their home was searched in the raid. A federal judge dismissed the suit, however. The lawsuit had also named a terrorism researcher, Rita Katz, as a defendant, but the judge dismissed her from the case and awarded her $41,000 in legal fees. The Institute was a leading financier of Sami Al-Arian's now-defunct World and Islam Studies Enterprise, a "think tank" shut down after the FBI confiscated its files in 1995. That think tank raised money for the Palestinian Islamic Jihad, which the State Department labeled a terrorist group in 1995. Al-Arian pleaded guilty in 2006 to helping a terrorist organization, and was sentenced to 57 months in prison. Taha Jaber Al- Awani, an officer of the Institute, was named an unindicted co-conspirator in Al-Arian's case. The Institute, whose money was believed to come from wealthy Saudi Arabians through the SAAR Foundation (a tightly connected Herndon-based network of more than 100 organizations; also known as the Safa Group), also funded other Al-Arian organizations, including the Tampa Bay Coalition for Justice and Peace, the Islamic Academy of Florida and the Islamic Committee for Palestine. Two incorporators of the Islamic trust that owns the Islamic Academy of Florida were Jamal Barzinji and Hisham Al-Talib, both of whom also served as directors of the Institute. Attorneys for the Institute claimed that the raid violated its free speech and privacy rights, and asked U.S. Magistrate Judge Theresa C. Buchanan to order the boxes of records returned. But on May 4, 2002, the Judge found that the investigative agents had acted properly, and declined to lift her order sealing the affidavits, though she urged prosecutors to return seized property as soon as possible. In October 2002, Virginia Representative James P. Moran, Jr., said he was returning donations from the Institute, as: "I don't want any contributors to my campaign contributing to any individuals or organizations, even inadvertently, that might fund terrorism or organizations involved in terrorism." In 2007 he refused to answer questions to a grand jury about the Institute, he was found guilty of civil contempt and jailed for 13 months. On October 16, 2006, and on March 20, 2008, Al-Arian refused to answer questions about the Institute before a federal grand jury, asserting that he believed his life would be in danger if he testified. He was charged with criminal contempt the following month for unlawfully and willfully refusing court orders that he testify as a grand jury witness. On September 2, 2008, he was released from custody and put under house arrest at his daughter Laila's residence in Northern Virginia, where he is being monitored electronically while he awaits trial on criminal contempt charges. While under federal law, Al-Arian could not be jailed for more than 18 months for civil contempt, the law does not have a time limit for criminal contempt. The Institute canceled its $1.5 million offer to Temple University for an endowed chair in Islamic studies after concerns were raised about the Institute's possible funding of suspected terrorists, it was reported in January 2008. Negotiations between Temple and the Institute broke down after trustees and others pressed Temple to reject the gift. Temple president Ann Weaver Hart had said that “after much discussion and consideration, Temple decided to neither accept or reject this generous offer. The university indicated that no decision regarding this matter would be made until post-9/11 federal investigations of the IIIT are complete."